Kieft’s War almost led to the ruin of New Amsterdam. By the early 1640s, New Amsterdam had found its identity as a cosmopolitan trade capital, but it was almost wiped out after launching a foolhardy war against neighboring Algonquin tribes. 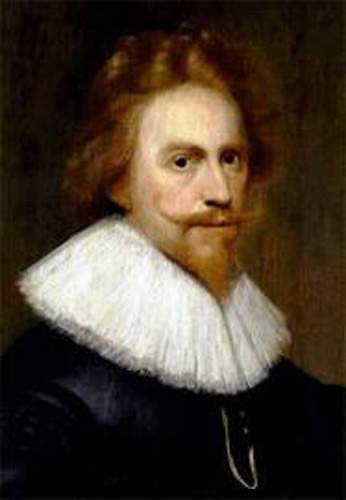 On February 25, 1643, Governor-Director Willem Kieft led a raiding party against helpless Lenape Algonquins seeking refuge from rival Iroquois invaders. The mass killing was called the “Pavonia massacre,” and it prompted a full-scale retaliation from surrounding Algonquin tribes that utterly decimated the fledging new colony. During the late 1630s, New Netherland (the full Dutch territory in what is basically the NYC metropolitan area and Albany) was being encroached on all sides by the French, British, and even the Swedish (New Sweden was in Delaware). New Netherland Director Kieft, the representative of the Dutch West India Company, made a series of moves to stabilize New Amsterdam: allow all nations to trade in New Amsterdam and use the Hudson River in exchange for an import/export tax, and encourage settlers to purchase their own land within New Amsterdam instead of just leasing from the company. Meanwhile, Kieft made a series of deals with the Lenape natives to acquire much of today’s outer boroughs. Not only New York City’s physical contours, but its personality as a center of international commerce, were beginning to take shape. Despite Kieft’s economic dealings with the Lenape, relations were not great. Not only did the Lenape suffer from European diseases and livestock encroachment onto their land, but Kieft tried (unsuccessfully) to tax the Lenape to raise revenue. Tensions escalated, with occasional acts of savage killing on both sides. Kieft would not deal the Lenape, an Algonquin tribe, any European firearms, putting them at a distinct disadvantage against the enemy Mahicans, an Iroquois tribe from the north who acquired guns from Dutch sailors with ease. The Dutch local citizen advisory group had been specifically against such a raid, and were aghast when they heard the details. In addition to being dastardly, this was an incredibly shortsighted attack. Other Algonquin tribes angrily sought revenge, raiding rural farms and other European outposts, who were completely unaware of Kieft’s actions, and didn’t realize he had started a war. Settlements outside of New Amsterdam were abandoned as Europeans rushed to the poorly constructed fort, which was low on gunpowder or soldiers and had yet to erect the future Wall Street wall. Had the Algonquins, who had New Amsterdam outnumbered seven solders to one, mounted a siege of the town, they might have destroyed it. Instead, they pillaged the periphery, and life in New Netherland came to a harrowing standstill. War lasted for two and a half years. Many Dutch escaped home to the Netherlands. Eventually settlers conscripted legendary British Captain John Underhill, whose absolute annihilation of several Algonquin outposts brought the tribes back to the table for a cease-fire. Underhill’s public torture of prisoners included one incident in which his men “threw [the prisoner] down, and stuck his private parts, which they had cut off, into his mouth while he was still alive, and after that placed him on a mill-stone and beat his head off.” Thus ended New Amsterdam’s first bloody, senseless war. The next generation of Algonquin and Iroquois would be devastated by smallpox, and were no longer a military threat by the 1664 British takeover. Needless to say, neither the colonists of New Amsterdam nor the Dutch West Indies Company bosses were pleased by Governor Kieft’s leadership. He was fired, and drowned on the journey back to Holland. A ship passing the other direction across the Atlantic carried New Amsterdam’s new governor, Peter Stuyvesant.